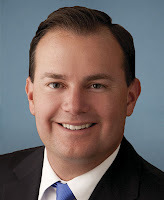 ARRA News Service: Sen. Mike Lee - "Not So Bad, If You Don't Think About It"
Sen. Mike Lee - "Not So Bad, If You Don't Think About It"
Friday, Senator Mike Lee, R-Utah, spoke at FreedomWorks for America's - FreePac rally held before the Glenn Beck Restoring Love rally. ~ I love people who love freedom. ~ He [President Obama] puts words that don't make much senseto a catchy tune and he expects us not to think about it. ~ $16 Trillion debt isn't that bad, if you don't think about it. ~ Unemployment that has been above 8 percent for years is oaky, if you don't think about it. 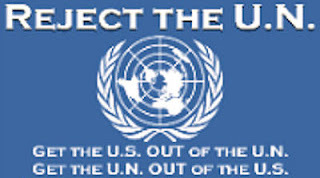 ~ Adding to the National debt at an aoutstanding rate at over 1 Trillion dollars a year is just fine, if you don't think about it. ~ But you know Mr. President, some of us are thinking about it! ~ We need a balanced budget amendment to the Constitution. ~ Congress has stopped asking: What is the Proper Roll of Government. ~We [Conservative congress members] are going to resist every attempt to raise the national debt limit until we put in place the principles of cut, cap and balance -- and first, put in place a Balance Budget Amendment to the U.S. Constitution. ~We as American citizens were born to be free. We as American citizens are blessed by Almighty God with a land where men and women would be free as long as they continued to honor Him and as long as they continued to strive for liberty. Michael Shumway "Mike" Lee is the junior U.S. from Utah (R). He has been a constitutional lawyer in Utah and Washington, D.C, in addition to serving as a clerk for then-Judge Samuel A. Alito, Jr.. At the age of 41, Lee is the youngest current U.S. senator. He is also the author of the book, The Freedom Agenda. Tags: U.S. Senator, Mike Lee, Utah, speech, freedom, liberty, Americans, FreePAC, Tea Party, 2012 Election, If You Don't Think About It, To share or post to your site, click on "Post Link". Please mention / link to the ARRA News Service. Thanks!